Are You Ready to Reset Your Energy for the New Year? The cosmic and astrological events of the past few years have strongly facilitated the opportunity for spiritual growth, enlightenment, and energetic evolution. 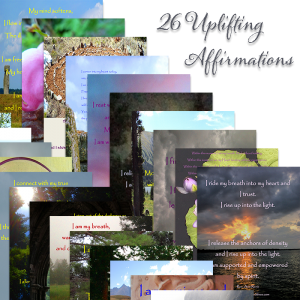 From a subconscious level, these intense episodes triggered core issues and lessons for all of those presently experiencing physical incarnation. Have you felt the intensity and challenge? It is helpful to understand that when you resist learning from core issues and integrating your life’s lessons, you will manifest pain, struggle, frustration, and imbalance. The beginning of a new year is the perfect time to take stock and consciously manage any issues that have been activated. Doing so creates the space for tremendous insight, learning, integration, and release, which in turn sets you up to begin your new year fresh and clear. Taking a moment to reflect upon the past year also provides strong self-healing support in beginning your new year in a positive and more balanced sense of being. A great first step in this process is to do what I call a wholistic check-in with yourself. How has the past year affected your body, mind, and soul? What served you well over the past year? What did not serve you over the past year? Take the time to deeply ponder and journal about the above questions. Doing so offers you valuable healing information. You are taking your energetic pulse and deeply connecting with where you have been over the past year, where you are presently, and where you would like to be as you move forward into the new year. Additionally, taking the time to re-read and go over any journals you have kept over the past year brings great awareness, understanding, and valuable information. The next helpful step in a wholistic check-in is creating a gratitude list. To do so, think about your past year and recall all your blessings. What brought you joy and happiness? What accomplishments did you realize? What goals did you achieve? Taking the time to acknowledge your accomplishments and hard work is such an important step in fueling positivity, joy, and balance within your life and through the coming year. Congratulate yourself for hard work, goals reached, and any major milestones. This also facilitates integration and gratitude. Take a breath into positivity and pat yourself on the back for a job well done! The final helpful step in a wholistic check-in is to consider and become aware of all that you are ready to release and clear from your life. 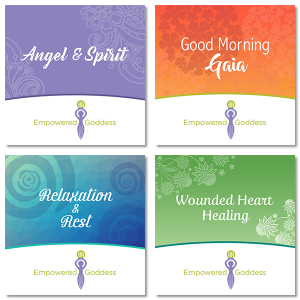 Doing so integrates healing and sets you up to begin your new year with a fresh start. What are you ready to give forth and free yourself from? What would you like to change moving forward? Take a few minutes to make a list of those things you are ready to change and unshackle from your life. When you integrate where you have been, you may therefore perceive and understand where you presently are, and then gain incredible clarity moving forward into a new year. As you look back upon the past year’s lessons, you will gain amazing self-understanding and insight—grounding you in a fresh start and new beginning. Doing a yearly wholistic check-in also enables the positive change that is necessary within any journey back into health, well-being, and balance. With some preparation you will enter your new year better equipped to make the most of your life’s lessons and these powerful energetic times!